inFamous: Second Son released on the PS4 on March 21st 2014, and in just 9 days, managed to sell a million units. 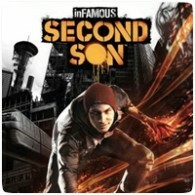 Sony revealed that worldwide sales of both the Blu-ray and digital version of inFamous: Second Son exceeded 1 million units as of March 29, 2014. The record sales makes Second Son the fastest selling inFamous game so far. In the UK, the game toped the Games chart for two consecutive weeks before being displaced by FIFA 14. If you’ve finished both playthroughs and are still looking for more ways to play, we encourage you to check out inFAMOUS Paper Trail, the free bonus content that continues to expand on the Second Son universe. This six week episodic storyline introduces additional in-game missions that will unravel the mysteries behind the D.U.P.